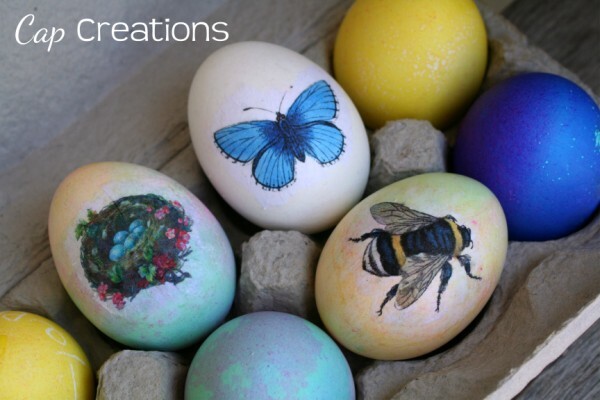 Hey guys, I've got a cute little craft to share with y'all! 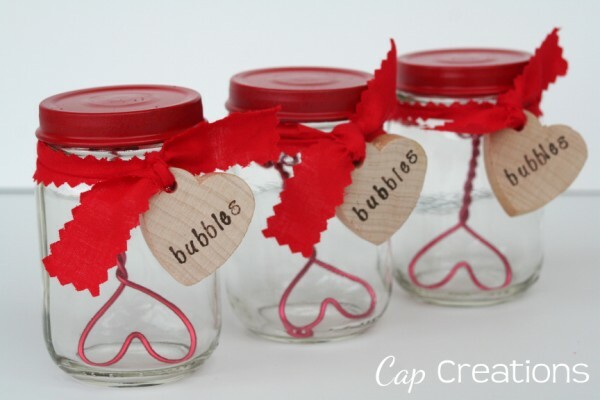 These adorable diy Valentine bubbles with heart bubble wands. 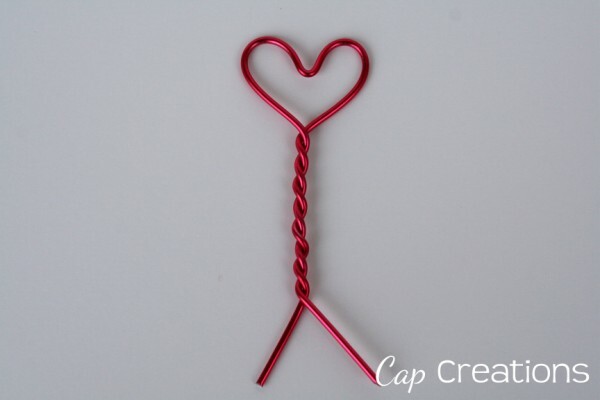 These are super easy to make and a big hit! From the baby food jars remove the labels and baby food of course, wash and dry. Spray paint the lids in the color of your choice. 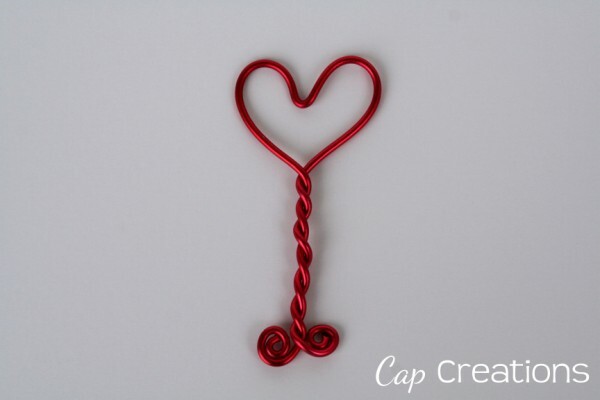 So here we go, a step by step in pictures of how to make the heart shape wand. I suggest playing around with the length of wire until you get the size of wand you want to end up with. Mine was about 8 or 9 inches to start. Bend back downward and start forming a heart shape. 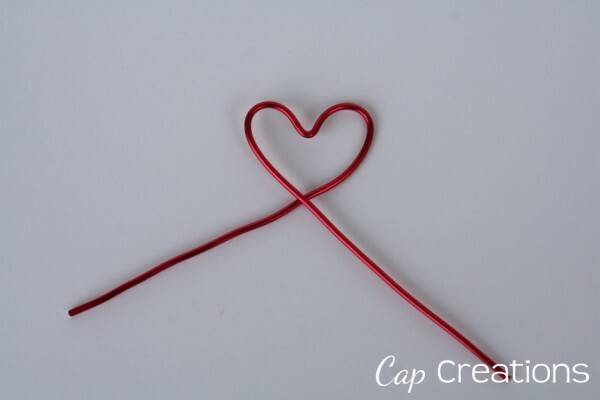 Cross ends to make a complete heart shape. Twist and bend ends downward leaving a bit on each end untwisted. Roll the ends upward into themselves making a coil like end. 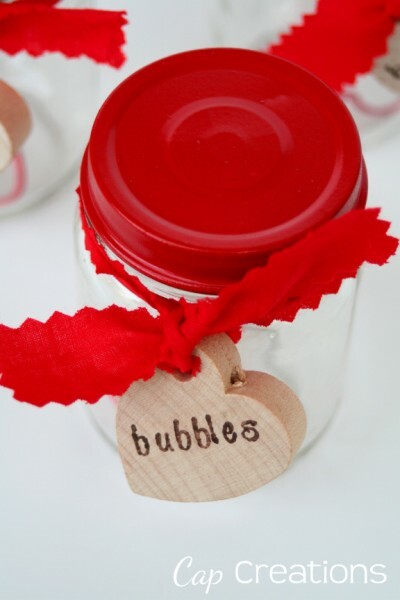 Simply fill your jar up with bubbles then add a wand and the lid. 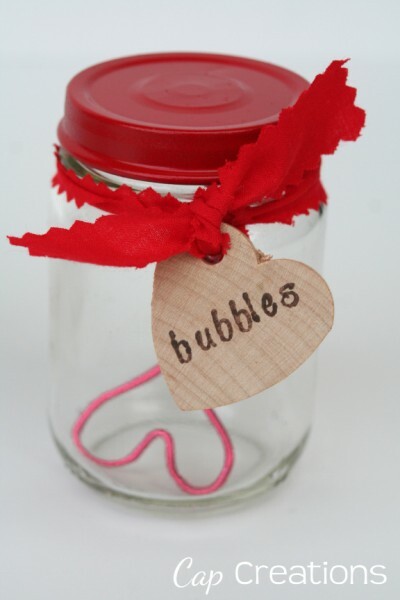 Use store bought bubbles or bubble recipe to be found at Under the Sycamore. 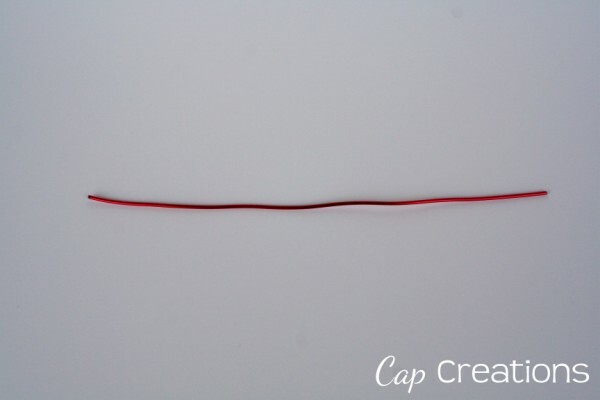 To decorate cut strips of fabric with pinking shears to limit fraying and tie on to the jar like a ribbon. 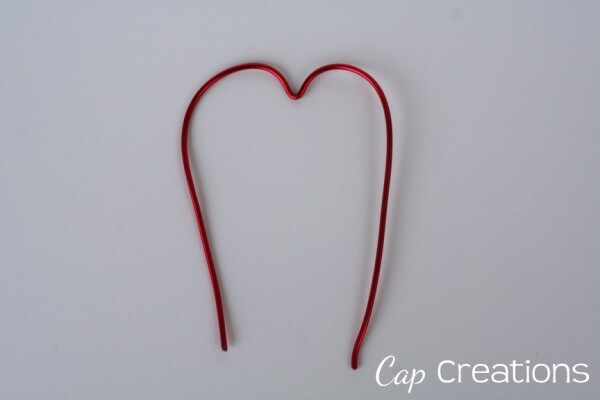 You could use regular ribbon too. 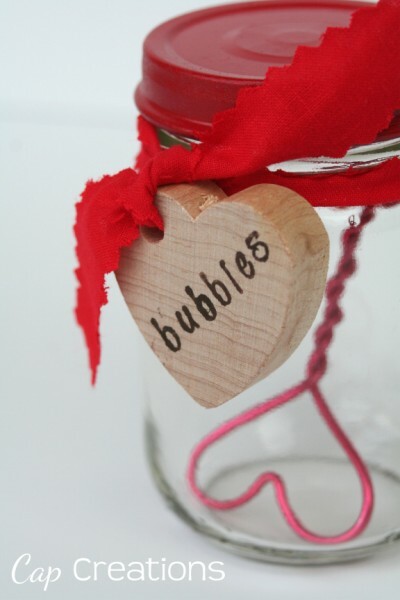 I also tied on a heart shaped wooden tag on which I stamped bubbles. 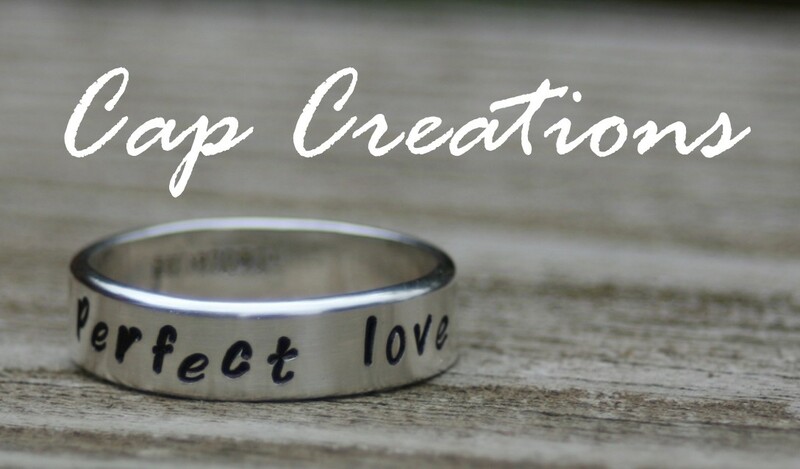 Instead of stamping the hearts you could write them out with permanate marker as well. Now aren't these just adorable??? You can also play around with the color of lid and ribbon and shape/color of wand for birthdays!!! Just remember they are glass so adult supervision while small children are playing with.